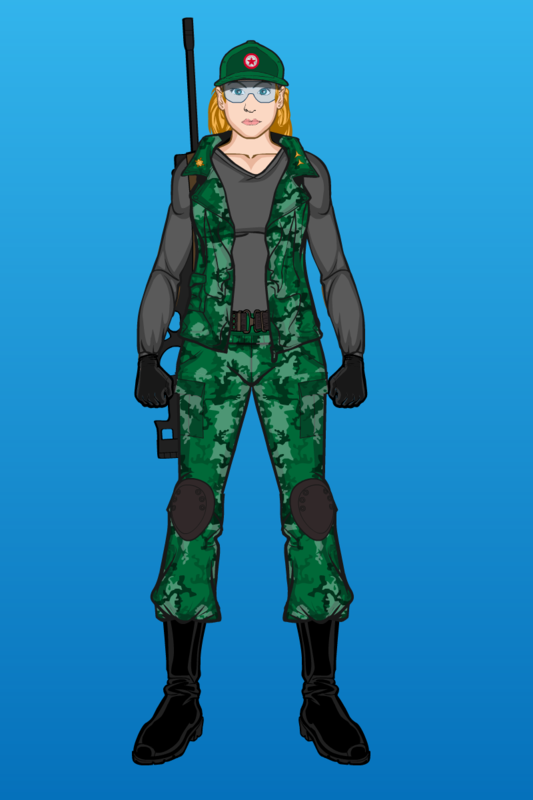 Next up for the updated Oktober Guard is maybe the best known member, Daina, who survived the deaths of most of the original Guard, and even joined the G.I. Joe team as “Vorona” in the Devil’s Due series. She’s got her sniper rifle here, and an attempt at Czech Army insignia on her uniform. The updated Oktober Guard continues, this time with some lesser-known members. 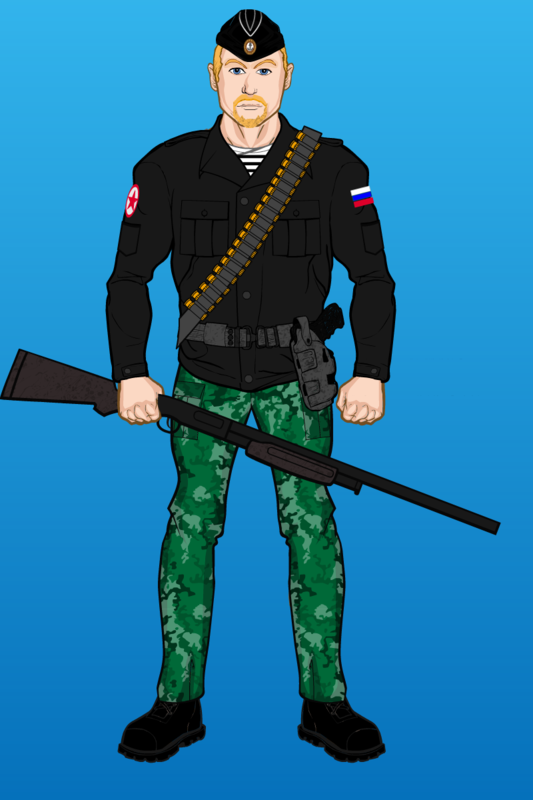 First, one of the replacement members from the Marvel days, Lt. Gorky of the Russian Naval Infantry’s Black Sea Fleet. Even more obscure is Wong, the only Chinese member, appearing in a single episode of the ’80s G.I. Joe cartoon. He was mostly used as comic relief. 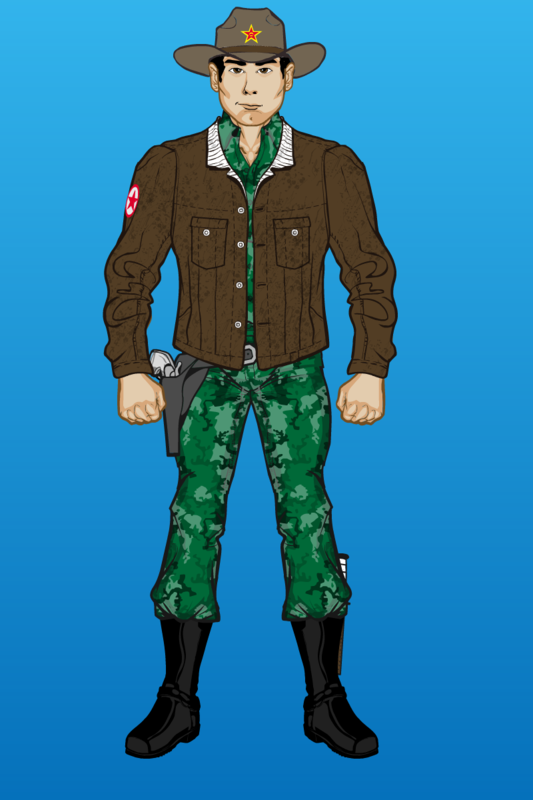 This version sticks with the “cowboy” design but with a more military tone. 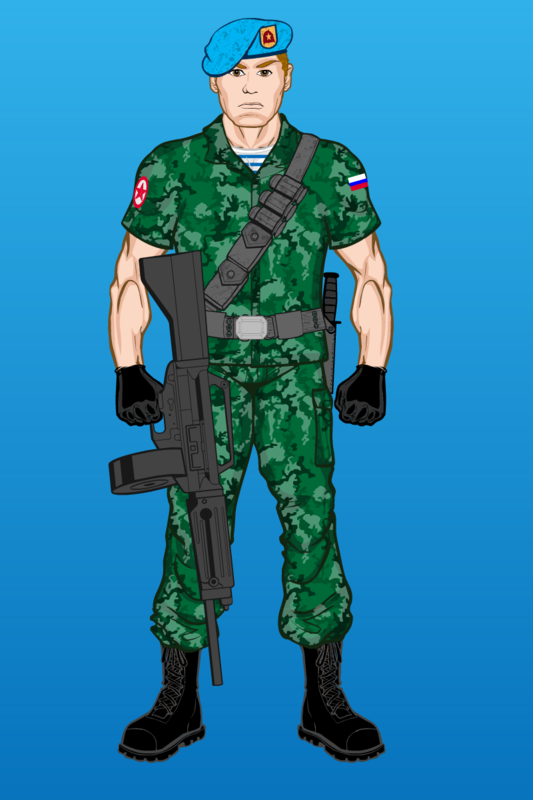 After creating mostly Joes and a few Cobras, let’s change things up with new designs for the Soviet Union’s equivalent of G.I. Joe, the Oktober Guard. We have seen them since the fall of the USSR, though it doesn’t really make sense for them to still exist. 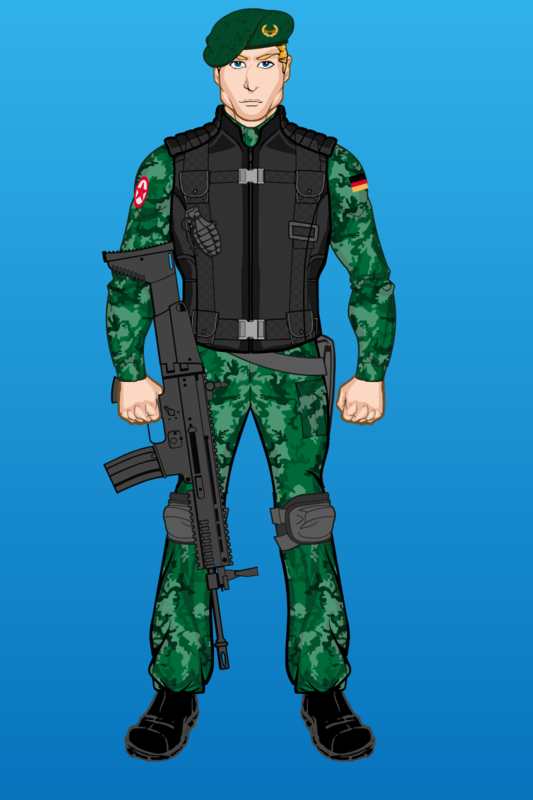 Though most of the original Guard was killed in Larry Hama’s comic we’re still using the originals here, and giving them updated uniforms including the flags and some uniform details of their modern home countries.